Portraits of Laurie's mother. 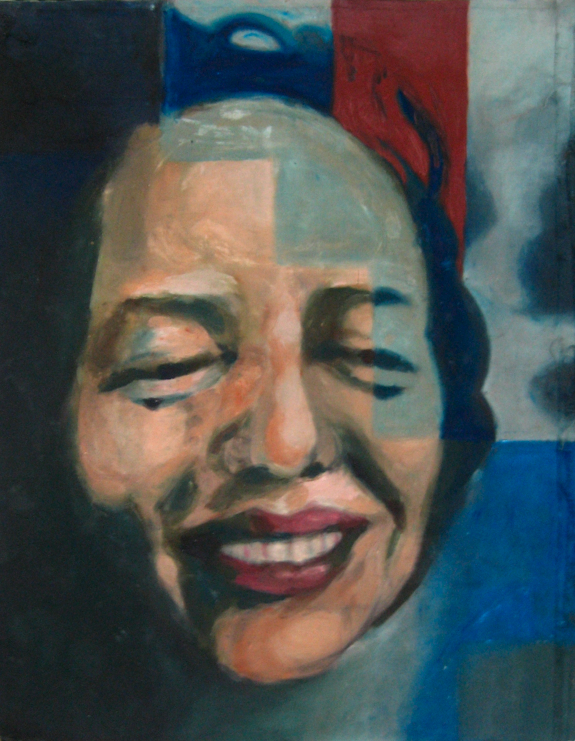 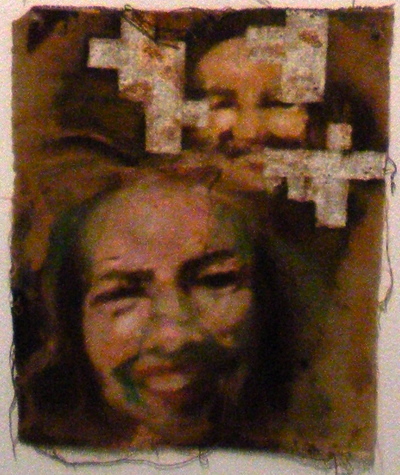 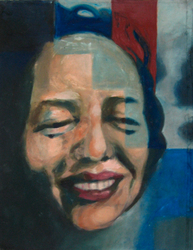 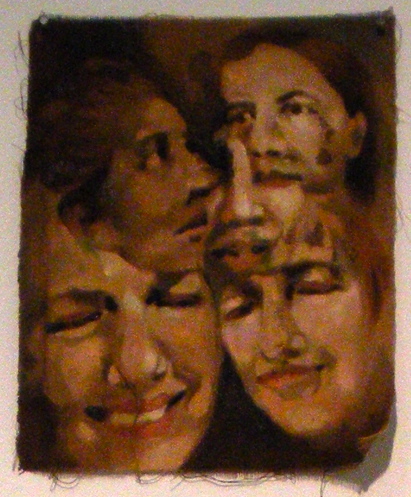 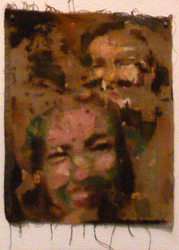 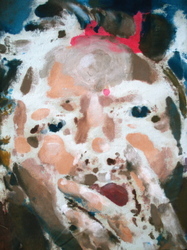 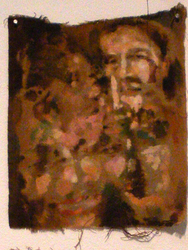 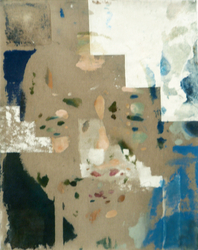 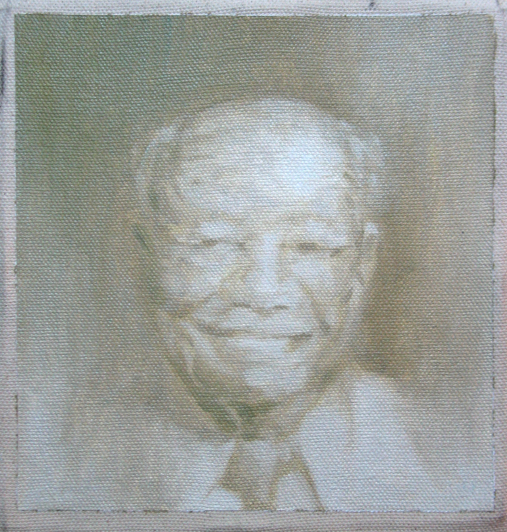 Oil on linen, 2008. 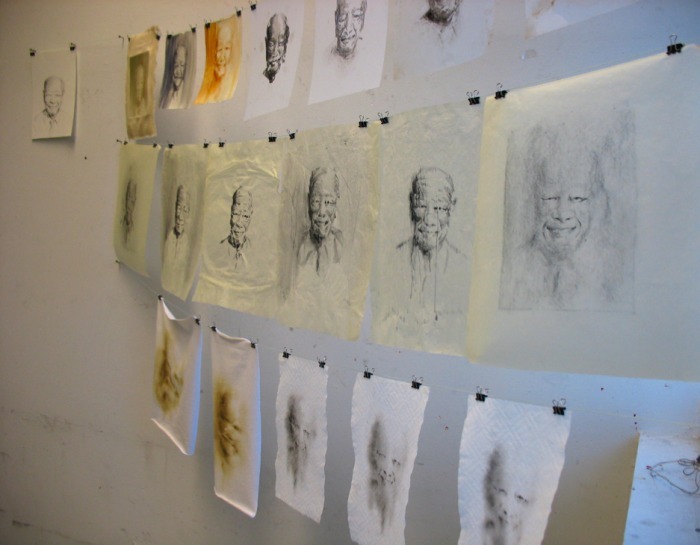 In Laurie's project of portraits of her grandfather (below), she explored various relationships between time, memory (fading and distortion), identity, and death. 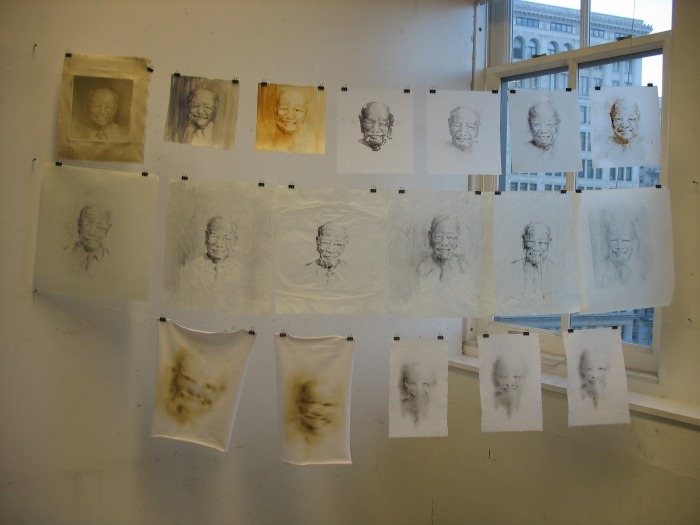 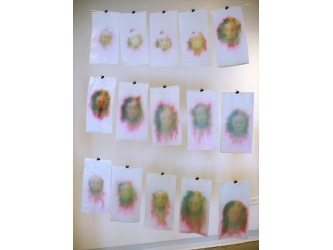 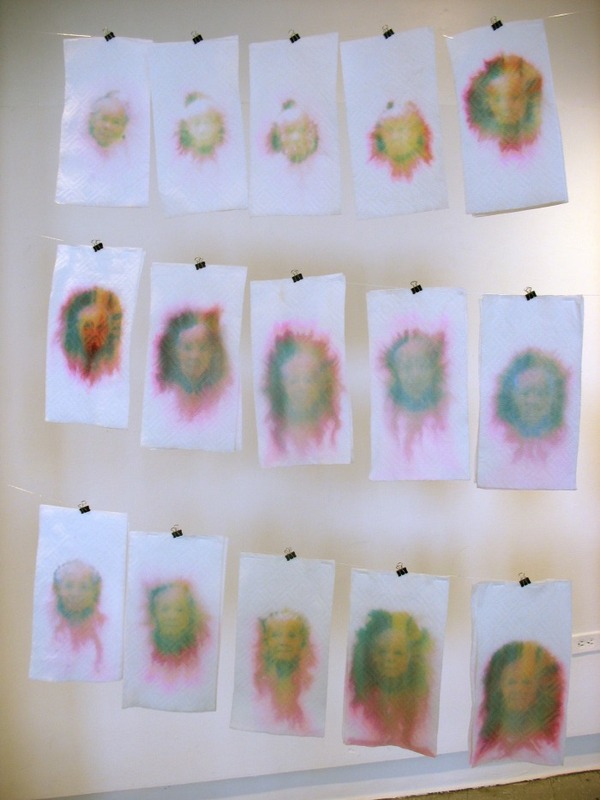 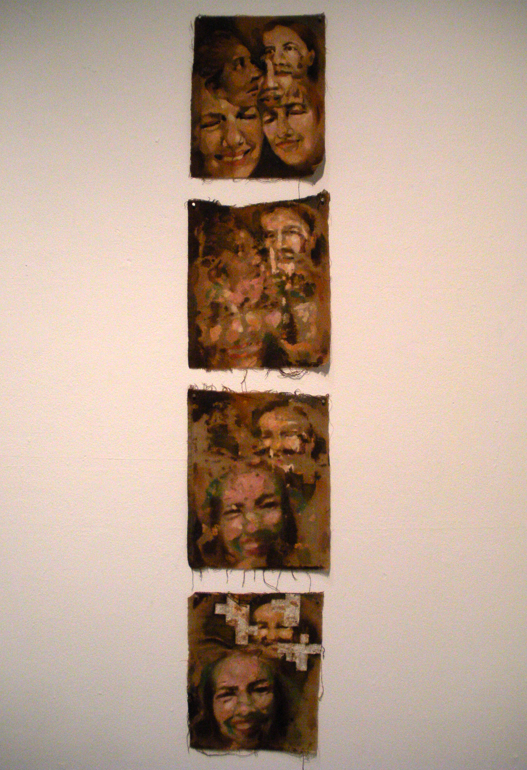 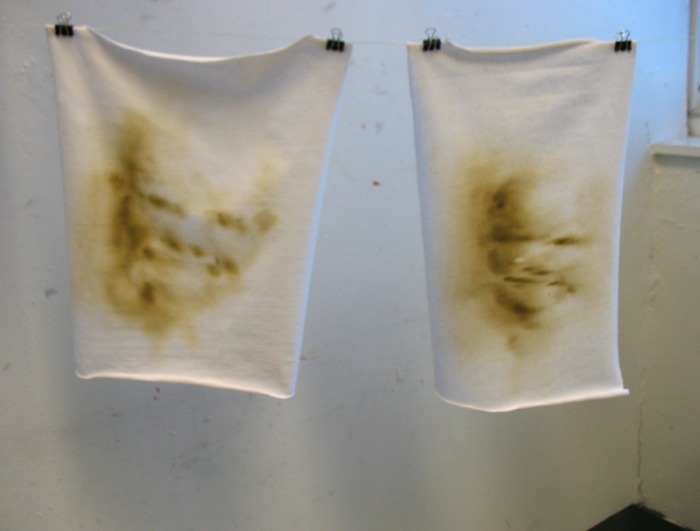 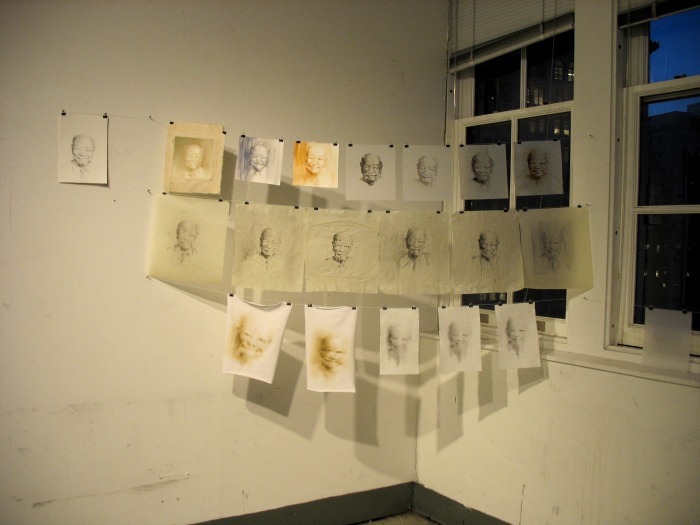 Using a clothes-line setup she hung many small portraits of oil, watercolor and tempera on canvas, mylar, tracing paper and cloth. 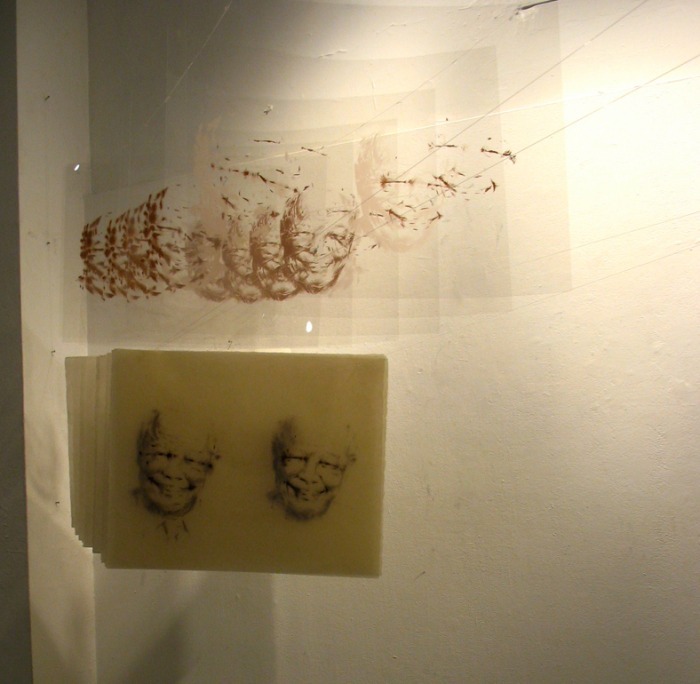 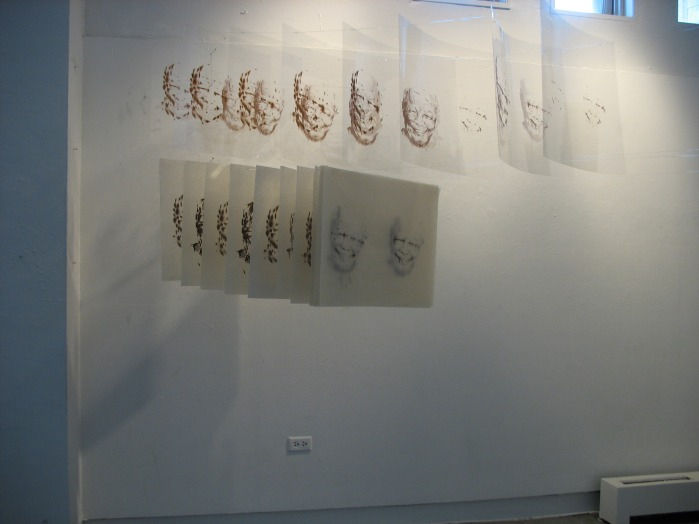 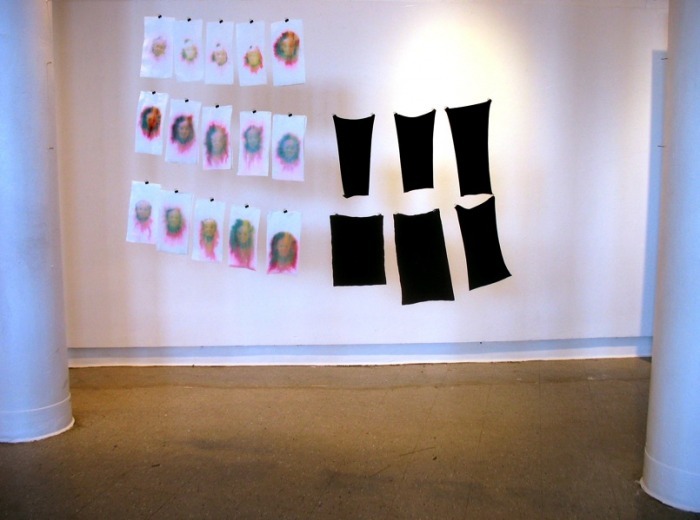 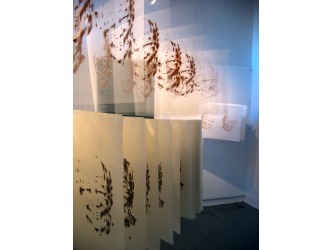 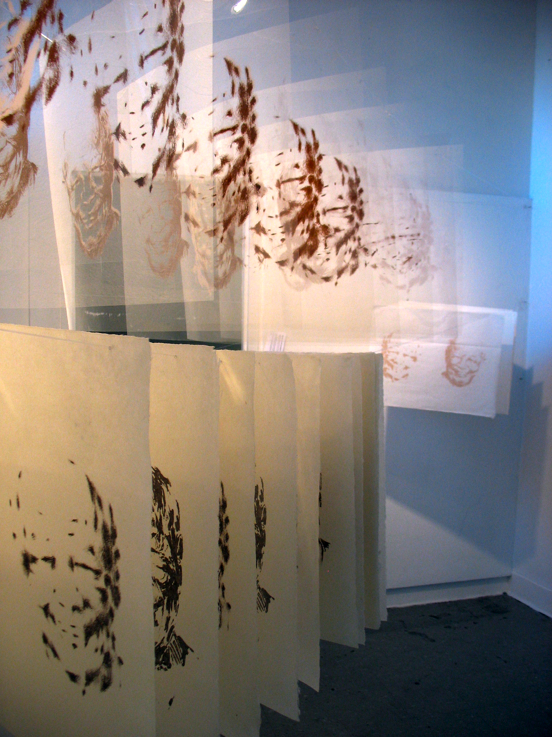 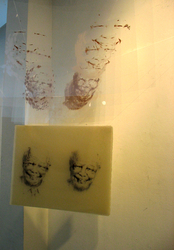 She also printed original drawings as silkscreen prints, using translucent ink, translucent paper and transparent mylar, to achieve effects of fading and reflection with light passing through the surfaces. 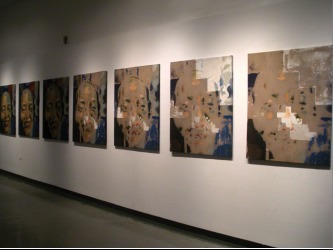 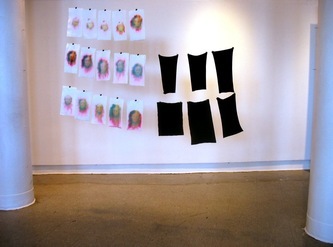 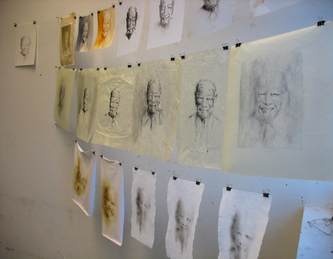 Above: Portraits of Laurie's grandfather, 2007. 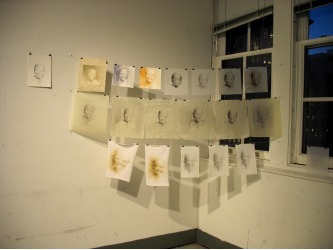 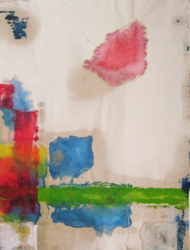 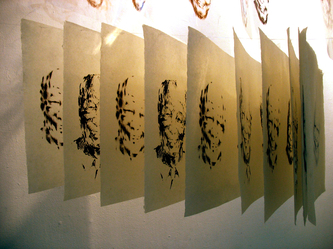 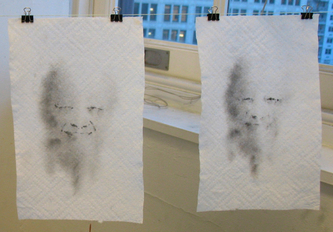 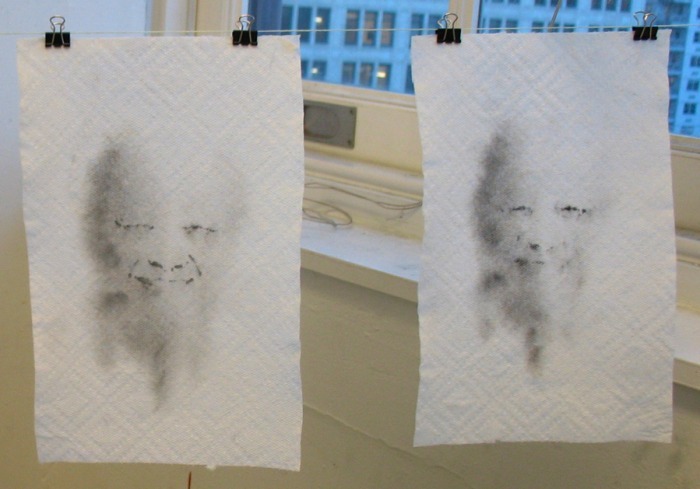 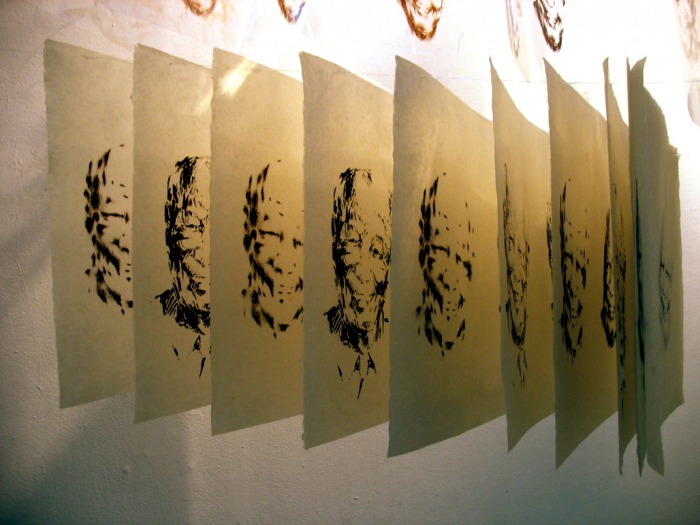 Photo transfers, silkscreen prints, drawings, and watercolors. 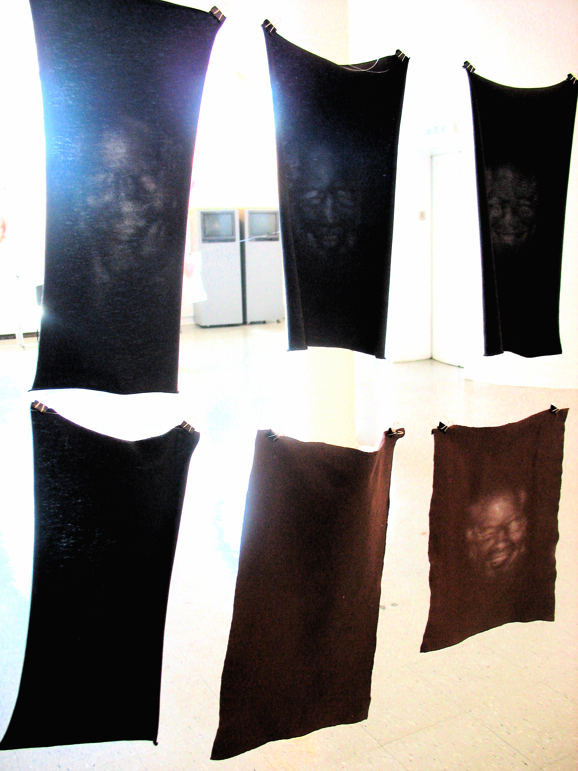 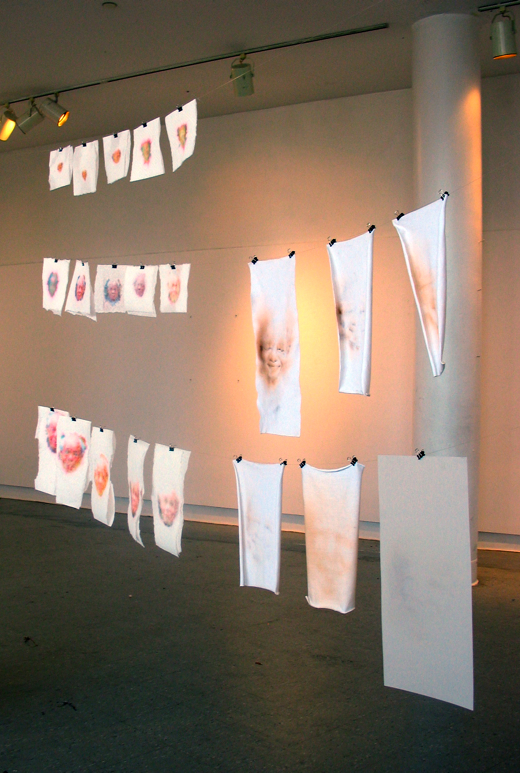 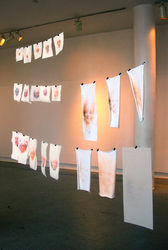 Installation at the Cooper Union, 2007. 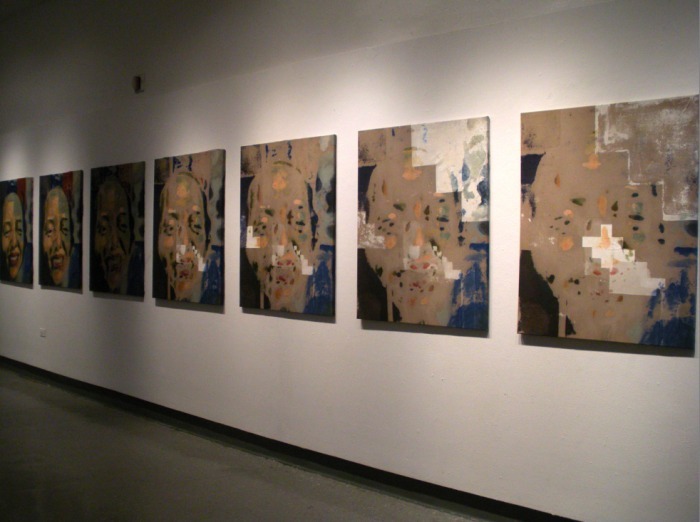 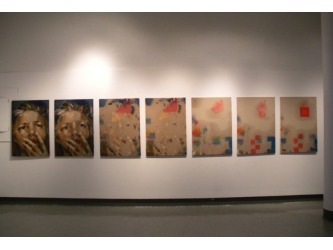 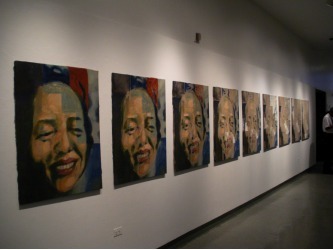 Laurie Lee-Georgescu with her paintings, 2008.